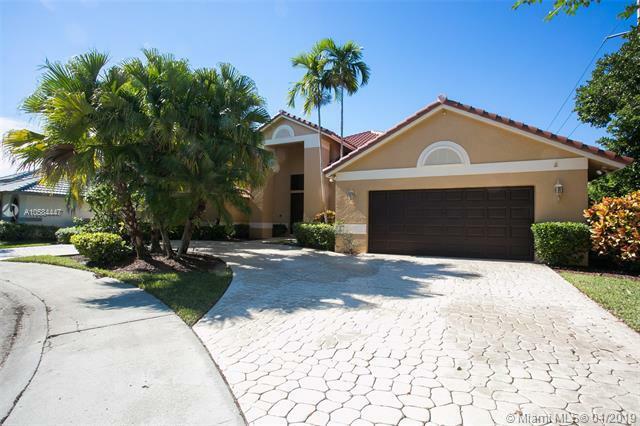 Perfect for Florida living, this 4 bedroom 3 bath home is set at the end of a private cul-de-sac and the 1/4 acre lot is fully fenced as well as lushly landscaped. The patio, which is great for entertaining or just relaxing, overlooks the freeform pool and spa. 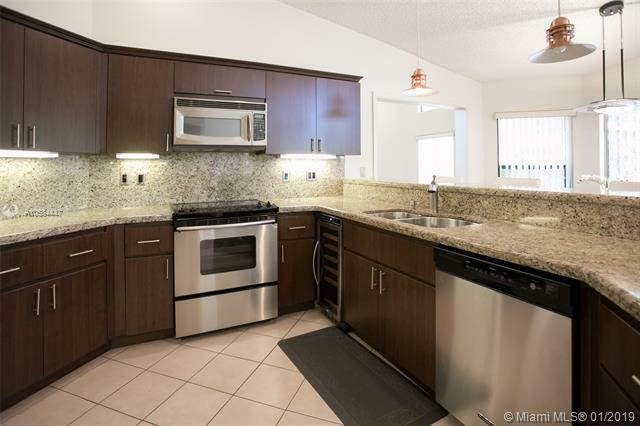 Interior features updated kitchen with stainless steel appliances (including wine cooler) and granite counter tops, tile and wood flooring plus newer roof and air conditioners. The floor plan offers a three way split. Circular driveway adds additional parking. Guard gated community with beautiful tree-lined streets and charming City park and playground just steps from the entrance of the neighborhood. Lawn and pool maintenance are included.